We digitize and convert records and transfer to CD any audio cassettes, reel-to-reel audio tapes and DAT and output the digital files to high quality audio CDs. Level optimization and track separation are part of our standard service. We also offer audio cleanup services to reduce noise, hiss, and to normalize audio levels for audio cassette to CD transfer. When we convert records the same service is available plus the optional noise reduction service may become very handy. Please note that hiss may be noticeable on many audio cassettes and we recommend using our hiss, crackle, & pop removal service to remove it when transferring cassettes to CDs. 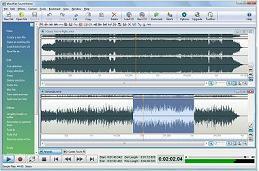 We can also create CD masters of original recordings and duplicate CDs for you. Learn how the audio transfer process works for quality audio restoration services. We utilize professional grade audio equipment at each step of our transfer process. From our high-end A/D converters to our gold-plated connectors, we take great pains to ensure the cleanest possible signal path, top to bottom. Turntables: Industry standard Technics SL-1200 MK2 direct drive turntables. Precision molded aluminum diecast cabinet and heavy rubber base material absorb unwanted vibrations. Unwavering quartz DD accuracy: wow & flutter 0.01%, rumble 78 dB (DINB). Highly sensitive low-mass tonearm with gimbal suspension. Styluses: Ortofon Pro Series, frequency range at - 3dB: 20-20.000 Hz. FIM distortion: less then 1%. Compliance, dynamic, lateral: 7 micron/mN. Stylus tip radius R 26 micron. Level optimization and track separation are part of our standard service. Hiss may be noticeable on many audio cassettes and we recommend using our hiss, crackle, & pop removal service to remove it when transferring cassettes to CDs.